Known as one of the trendiest young poker players, Patrik Antonius has taken the world of poker by storm. Not only because of his skills in poker games but also because of is exceptional personality. Engaged to his beautiful Israeli fiancée who has a cute daughter for him, and with a budding poker career, Patrik definitely has a lot going for him. Antonius is undeniably talented and skilled at what he does and when you combine this with a huge bankroll and millions of poker winnings, you will see a man that is worth eulogizing all day long. 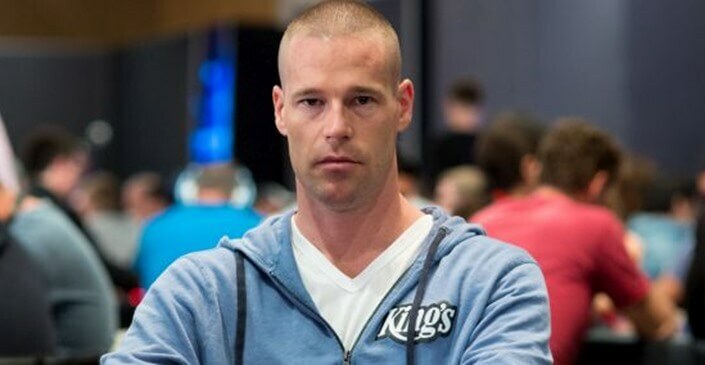 In this article, we look at the life and impact of Patrik Antonius in the world of Poker; his online and live games, winnings, losses, net worth, personal life, and hobbies. 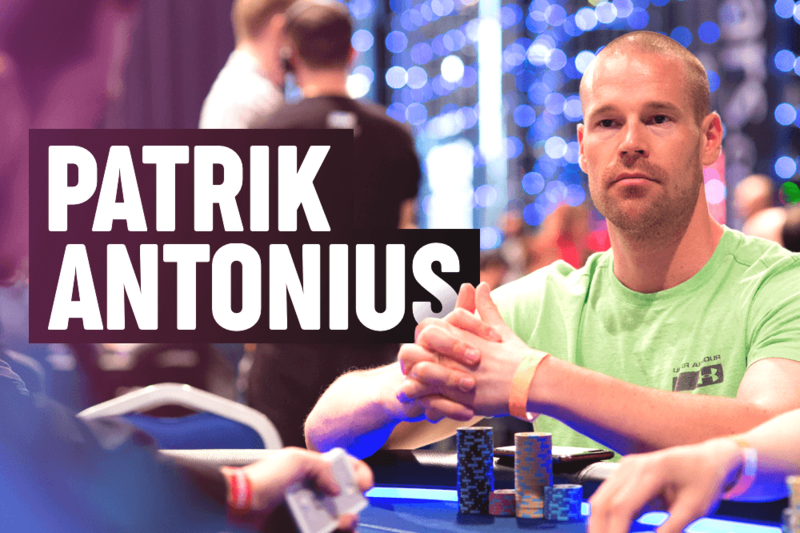 So, who is Patrik Antonius? How did he start his journey in the world of poker? What is Patrik Antonius’ net worth? Read on to learn more about this poker idol. Born on the 13th of December, 1980 in Helsinki, Finland, Patrik Antonius has become one of the most revered poker players in the world, especially in the areas of online and live cash games. His career goals were quite different from the typical professional poker player. He didn’t set out to become a poker player but the chain of events that happened in his life piloted him to the Green Felt where he achieved a level of success that many of his contemporary can only dream of. Patrick Antonius was born to a working class family. His dad worked as a delivery man for a bakery and his mom worked in a day care center to assist the family’s finance. Patrik developed a competitive mindset from early in life during his time playing soccer, hockey, and tennis with his peers. He was always involved in one form of sport or the other, and always working hard to keep out of detention. No doubt, Patrik had a natural talent for sporting activities and he was aiming at becoming a professional tennis player in his teenage years. He had great prospect and was seriously pursuing his career goal until things went downhill for him. It was about this time that he started playing poker with his friends. He became interested in poker game and started playing almost every day at the tennis club. At the age of 11, Patrik made some winnings which were mostly 50¢ to expend at the candy store. When he started playing at the tennis club, the stakes were higher than 50¢: $50USD and of course, bragging rights. Patrik continued playing tennis and poker all through high school and the stakes continue to grow. He discovered the game, Pot Limit Omaha, early in life and he began to play home games till late in the night and early morning. At the age of 15, Patrik had a serious back injury that almost defeated his dreams of becoming a professional tennis player. When he turned 18, he started playing at Casino Helsinki which happened to be the only Casino in Finland at that time. At his first try, Patrik took the weekly $25 No Limit Hold’ Em event and won the $225 prize. Interestingly, he became a Hold’ Em champion by winning the tournament even though he had never played at the game before. Patrik went on to graduate from Helsinki Business College and was drafted into the army for his mandatory service. He was admitted into the Army Sport division and was permitted to practice tennis anytime he returned to base as he was most in the woods. After his release from the army, he began to practice seriously for his tennis career. However, it seemed fate had another plan for Patrik. He had another back injury before his first professional tennis tournament which crippled his dreams of becoming a tennis star. Patrik Antonius was forced to start charting another course for his life. With a competitive spirit and very little to do, Patrik decided to find another avenue to explore his strong talents. So with a bulging disk and broken dreams of becoming a tennis star, Patrik began to engage in different jobs. He took up some odd jobs ranging from selling products from door to door, modelling, coaching tennis, to serving tables in restaurants. However, none of the jobs paid enough and none was giving him the adrenalin rush like tennis games. He made up his mind to pursue unconventional career and to put his competitive drive and spirit to work which led him to focus more on poker games. Patrik increased his home game play and upped to $2/$2 Pot Limit Omaha tables on a more frequent level at the casino. Although he didn’t start raking in money immediately but after some years of focused play and larger stakes, Patrick Antonius became a self schooled professional poker player and he started building a strong bankroll. Not long after this, Antonius hit a hot break in the summer of the year 2002 where he won consistently and built up his bankroll more than before. In the fall of 2002, Patrik left his hometown in Helsinki for Italy for a period of three month for his culinary internship. He became apprentice at various restaurants during this period and he was not able to play poker at this time. He ended up blowing a large piece of his bankroll during this time. In January 2003, he returned to Scandinavia where he continued to study at the Helsinki Polytechnic Stadia. From here on, he decided to engage in online games. He made his first online deposit which would be the first of many, and within a period of two months, he had multi tabled his total $200 deposit to a whopping $20,000. At this point, Patrik came to the conclusion that he had to shift his focus to poker fully. He took a break from school and decided to focus exclusively on poker. He started studying more about the game and also understands his opponents. He began to immerse himself in the game of poker and to understand the strategy that is involved in the game. From the month of March to December of 2003, Patrik played twelve hours a day, and seven days a week. During this period, he increased his bankroll to an amazing $80,000. His skills and knowledge improved significantly as he staked against some of the online players at this time and he learned a lot from them. Shortly after, Patrik became one of the top players online in Europe. At this point, his back had healed and he started considering going back to play tennis again. Since many of his tennis buddies were then in United States schools on tennis scholarships, Patrik decided to join them and try his luck also. He applied and was give a one year sports scholarship to the prestigious Averette University in Virginia. As soon as he got the scholarship, he packed his things and headed for the schools. His poker exploit went downhill at this time since he was more focused on playing tennis than playing poker. Although he wasn’t playing poker as much, his bankroll was not affected. Just playing one or two hours of $50 or $100 heads up and shorthanded Hold’ Em a day earns him $150,000. He increased his bankroll by $100,000 when he included the $5/$10 and the $15/$25 Pot Limit Omaha poker games to his collection, and capped it by winning the 2004 World Series of Poker at the online satellite game. At the end of his semester in his academic year, Patrik left for Las Vegas to pursue his poker career and since then, he had never looked back. Although He did not win at any events, Patrik Antonius left Vegas with the determination to boost his game and become an online poker champion. A couple of weeks after returning home from the little town in Virginia, Patrik doubled his bankroll by playing shorthanded $200/$400 Limit games through the online platform. From here on, he started playing for higher stakes online. However, he restricted his games to Pot Limit Omaha as this seems to be the game he is familiar with. At the start of his career, Patrik lost some money but he didn’t give up in his quest to become famous in the game. He kept going back to the game, growing and learning more about the tricks and strategies of the game. Eventually, the game began turning in his favour, thanks to his tough determination and knowledge. Patrik Antonius began to make a name for himself at the poker tournament with his two finishes close to the final table of the EPT (European Poker Tour) event and the World Poker Tour tournament event. He placed 12th at the European Poker Tour PokerStars Caribbean Adventure and 15th at the World Poker Tour Bay 101 Shooting Stars tournament two months after. He went ahead to complete in the money at three different events during the World Series of Poker 2005. In August, Patrick won the Ladbrokes Scandinavian Poker Championships that took place in Stockholm. He finished the game with about $70,000 in winnings. In September of 2005, he made it to the final table of the European Poker Tour Main Event. At this event, he finished at the 3rd place in Barcelona with a winning of $145,000. The following month, he won the European Poker Tour in Baden bei Wien despite the fact that he arrived five hours late to the event. He took home the first prize of €288,180 from this event. At the peak of these consecutive winnings, Patrik Antonius decided to relocate to Vegas to continue playing his games from there. When he arrived at Vegas, he purchased a house and began its renovations. This took more than a year to complete with hundreds of thousands in U.S. dollars going into the investment. While this renovation was going on, he resided in a suite at Bellagio where he continued to play high stakes tournaments and cash games both online and live games. In December of 2005, he finished in second place at the World Poker Tour Five Diamond World Poker Classic in Nevada, Las Vegas, where he competed with Doyle Brunson. He won $1,046,470 at this game. After this game, he joined a team of high profile prodigies of poker known as Circle of Outlaws. He also signed up with MartinsPoker.com, a Swedish Martin de Knijff poker room. During this time, Patrik Antonius met his beautiful Israeli fiancée, Maya. With a lined up pre-tournament plan that consists majorly of going to the gym, eating well, watching movies, and sleeping well, Patrik continued his exploit in making great wins all through 2006. In 2006, he cashed in 8 different international tournaments which include a 9th place finish at the inaugural $50,000 World Series of Poker H. O. R. S. E event and 15th place finish at the $10,000 World Series of Poker Poke Limit Omaha Championship. He also featured in additional three events in the WSOP and two events during the World Poker Tour. In details, Patrik place ninth at the 143 Players 8-handed WSOP $50,000 HORSE event in July of 2006 and won $205,920 which happened to be his largest cash in the year. During the 2007 World Series of Poker, Patrik entered various tournaments but only cashed at the World Championship of the Pot Limit Omaha tournament event where he placed 3rd and won $311,394. This makes it his 9th WSOP cash and boosting his earnings at WSOP to $569,964. He has also made appearance on Poker After Dark, a creation of NBC. At his first appearance, Patrick finished in the runner up position, losing to another poker professional player, Jennifer Harman. He won against Brad Booth at his next attempt in heads-up play where he took the victory. He also made a third appearance where he was a runner up to Jonny Chan. The year 2006 was a great year for Patrik, especially in his personal life. Maya got pregnant and gave birth to their first child in May 2007. The couple, with their child, Mila, moved to their new home in Vegas. The family later decided to split their time between Vegas, Monaco, and Monte Carlo. Patrik Antonius continued paying at poker circuit all through 2007, wining in the Aussie Millions, the WSOPE, WSOP, and WPT Five Star World Poker Classic. He is always seen online at different poker rooms wagering for high stakes. Some online platforms he regularly played include MartinsPoker, PokerStars, and Full Tilt Poker. He went ahead to play in some of the biggest profile online tournament events and by September of 2008, he finished in second place at the Full Tilt Poker $25,000 buy-in Heads Up Pot Limit Omaha Championship. He won a total of $320,000 during this game. Patrick was unable to enter for the WSOP Main Event in 2009 because he was rejected when registering with hundreds of other professional players. His rejection was due to capacity field. He also finished ninth at the 593 Players 8-handed €10,400 – 2011 WSOPE main events for a big prize of €90,000. In 2013, January, he placed third at the Aussie Million Main event for a sum of $600,000. It is important to know that Patrik Antonius career was initiated through online poker. In the early months of 2003, he discovered online poker and this was the point that his career as a professional poker was defined. Led by his various experiences and the flexibility of the games at this time, Patrick was able to make a deposit of $200 USD into his online account and from there, he never stopped playing at online platform. Within months, he had been able to turn his $200 deposit into an amazing $20,000. Over the years, Patrik has become a force in the poker world and continued to make waves in the industry. HighStakesDB reported that between the year 2008 and 2013, Patrik has amassed online winnings that was in excess of $11 million USD on the Full Tilt alone. In addition to this, he had won about $6 million at PokerStars while playing as FinddaGrind between the year 2007 and 2016. No doubt, Patrik Antonius is one of the biggest cash winners in online poker’s history. He started as a rookie with no slight idea about any other game except Pot Limit Omaha and Hold’ Em. Interestingly, in spite of his lack of experience in games, he still had enough reading skills and betting to win even at his worst games. His shortcomings were more glaring in full games but he quickly realized this and stuck with shorthanded games. Patrik is one of the very few players who have been able to win at mixed games on the highest levels even though he had only played at few of the games. Patrik public profile has grown significantly because of his good look and high profile wins. He has made appearances at various TV shows and series in the last couple of years. He also featured in the instructional DVD – Poker: My Way, produced by Marcel Luske. Patrik also featured in GNS’s High Stakes Poker and he made an appearance in NBC’s Poker After Dark TV series in 2007. He also played in the Full Tilt Poker; Million Dollar Cash Game II and the High Stakes Poker. During the reigning days of Full Tilt Poker, Patrik was a regular participant in all the major games, rubbing shoulders with other professional high stakes legends like Phil Ivey, Dwan, and Viktor Blom. Patrik hold the record of the biggest pot won in the whole of online poker history. It is no surprise therefore to see that he had raked in a total of $1,346,946 in pot. What Patrik does when he does not play Poker? When Patrik is not at the poker table, he can be found enjoying regular workouts and games of tennis. He also dabbles into other sports once in a while. He is also a good father and has eased into his role of a father and spends more time hanging out with his family. He was a regular participant at the Big Game at Bellagio and of course, the youngest player at that time when he joined the high stakes cash game. Patrik Antonius is considered to be one of the best heads up players all over the world. He is also one of the very best mixed game players in the world. There is no doubt, Patrik will continue to win and cash on the poker circuit many years to come. It is important to establish that Patrik Antonius is primarily an online games cash player. Majority of his games are online. However, he has also made big wins in live tournament. In total, Patrik has earned about $7 million in different live tournament winnings. His largest cash game was in 2012 where he finished as a runner up to Phil Ivey in the Aussie Millions Challenge $250,000. He won a large sum of $1.2 million at this game. In addition to this, he also made some other seven figures scores earlier in his career, specifically in 2005. In 2005, he placed second in the World Poker Tour Five Diamond World Poker Classic in Vegas. Although Patrik does not hold many titles or have any World Series of Poker bracelets, his presence at poker tables always bring fear to his opponents. Sometimes in 2005, he claimed a title at the EPT after he won the Baden Main Event for a sum close to $350,000. The fact that Patrik does not have any World Series of Poker bracelets to his name does not mean he was not able to win at the game. The only reason for this is because he is more interested in focusing his energy on great cash games around the world. Watching Patrik play at Poker After Dark or High Stakes Poker is enough to convince anyone of his excellent skills and ability at poker tables. Patrick was at a point sponsored as a Full Tilt player before he became a part of the Ivey League as an elite coach. As highlighted below, Patrik placed more at the online poker room than live games. However, in events where he played live games, he actually performed well. In summary, his placing in different tournaments is detailed below. Although many of the live games of Patrik Antonius are not as big as some of other big players in the industry, he has been able to make a name for himself both in live games and online games. Even though he was an avid online player, Patrik admitted that he thinks he is at a disadvantage when engaging in online games these days. According to him, there are various types of software that are being used today by practically everyone to gain an edge in the game. Patrik has never used any outside help when playing his games and he seems not to be planning to. He went further to say that he had never watched a poker training video or read a poker book. Patrik Antonius is no doubt a legend in the poker world. He has been able to grow his career to a point where he is regarded as one of the legends in the industry. The life and career of this young man remains a motivation for young and upcoming poker players in the industry. Patrik is still very much in the game and he continues to do great exploit in various tournaments and events, especially at the online tables.